We are all prejudiced. We are all judgmental and anyone who says otherwise, is a hypocrite. We have all presumed that the girl with the skull tattoos is one of those who is a rebel and probably is a struggling artist. We have all wondered how a mother of 2 kids can wear a pair of shorts and walk around the streets. But when someone, anyone judges us , we get defensive. Why? Didn't we just do the same ourselves. Our clothes, our style is almost instantly judged and with it our character as well. I know some of you might say that's why it is important to dress to impress. That I agree with. I am all about dressing appropriately for the occasion. I wouldn't wear a mini skirt to a Tam Bram wedding. But if that Tam Bram girl had a bachelorette party, then hell yes. mini skirt it is. Now just because I wear a mini skirt doesn't make me a girl of less character than anyone else. I am not here sing the age old slogan of "I will wear what I want, where I want, when I want." No. that's outdated. I am here to tell you to not assume that you know everything about me based upon what I wear. This sort of presumption is the root cause of a lot of problems. I am not asking this of the the guys alone, but my fellow ladies as well. I think they jump to conclusions faster than any man I know. I am tired of people looking a my Indian style of dressing and saying "Oh you must have been a classical dancer." I am a dancer. Period. Did you know that I am also trained in salsa, jive, cha cha, and jazz. 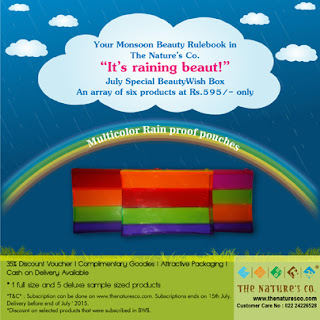 I am pretty sure the Kanchivaram sari that I wore did not give you that information. I also hate it when people take a second look at me when I say I am a fashion blogger. Why? Is it because I prefer Indian wear? Since when did Indian ethnic wear become unfashionable? And why is the idea of a fashion blogger looked upon as someone who only dresses in shirts and skirts? These prejudices need to be broken. Tomorrow we celebrate Women's Day. What does that mean to you? To me it isn't about telling men that I am an independent strong woman. It is also about being kind to the ladies around me and helping come up a step. To me Women's day is not about my personal growth, it is about growing a community. In the spirit of that community, along with my fellows bloggers, we are starting a campaign called #DontJudgeMeByMyStyle. The idea is simple. 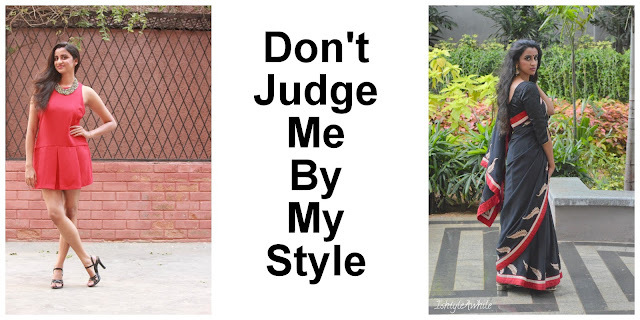 Use the #DontJudgeMeByMyStyle and #IAAllAboutWomen to see what the other bloggers feel about this. Also, share your story with us on Instagram or Facebook. We want to hear what you feel about being judged by what you wear. Join us in telling the world why your outfit is not related to who you are. Spread the love this March.